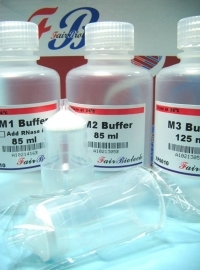 The FB Plasmid Midiprep Kit provides a fast, simple, and cost-effective method for isolation of plasmid DNA from cultured Gram positive and Gram negative bacterial cells. Its design is based on alkaline lysis of bacterial cells followed by binding of DNA onto the glass fiber matrix of the spin column in the presence of highly concentrated salts. 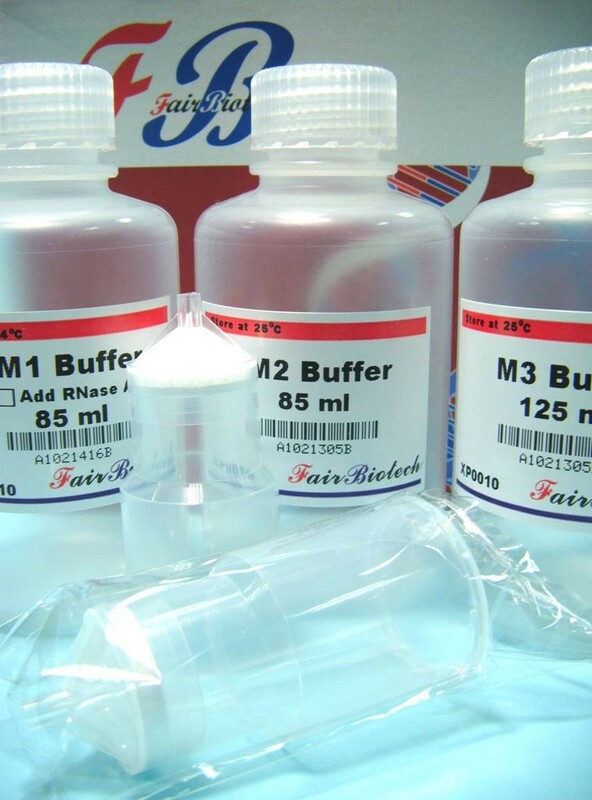 Plasmid DNA purified with FB Plasmid Midiprep Kit is suitable for a variety of routine applications including restriction enzyme digestion, Sequencing, library screening, in vitro translation, transfection of robust cells, ligation and transformation. The entire procedure can be completed within a short 30-40 minute period.